Historic Resource Surveys - Front Range Research Associates, Inc. Historic resource surveys examine architectural styles and features, building materials, alterations, history, and significance. Front Range has completed more than 10,000 intensive survey forms in Colorado. Surveys include photographs, forms, maps (increasingly utilizing GIS technology), and reports. Public meetings to discuss project goals and present survey results are also a part of surveys. Projects may include entire urban neighborhoods or focus on other types of historic resources. Neighborhood surveys examine properties within specified urban areas to determine historic district potential and evaluate the significance of individual resources. Front Range conducts neighborhood studies in cities and towns throughout Colorado. Front Range also has surveyed historic resources such as military installations, highway projects, pipeline construction, hydroelectric power facilities, farms and ranches, schools, homesteads, dude ranches and motels, industrial resources, water system structures, railroad-related properties, recreational resources, government facilities, and industrial complexes. Many of the projects have included working with the Section 106 process of the National Historic Preservation Act. Golden Intensive Survey, Golden, Colorado (2018). 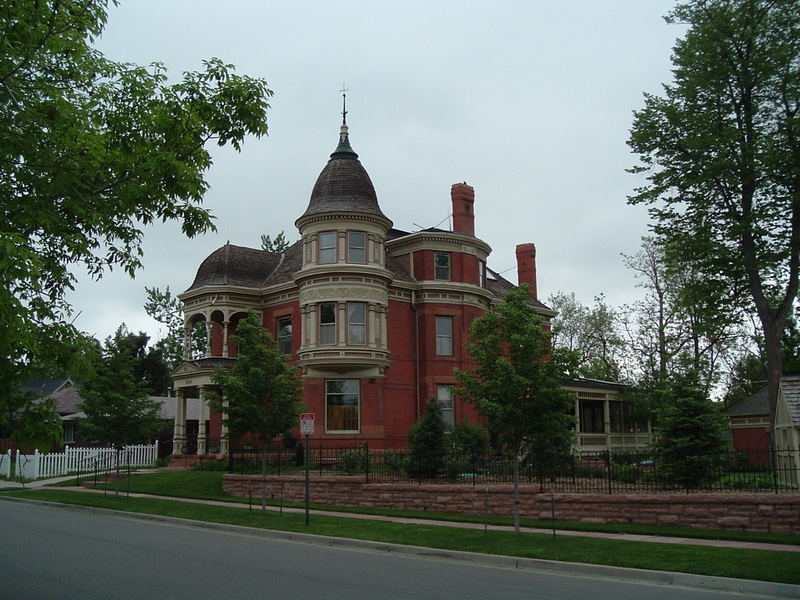 Front Range completed a scattered intensive survey of ten historic buildings within the City of Golden. The buildings were mostly reflected residential uses, but the Astor House (left) and a commercial business on Washington Avenue were also included. The project was conducted for the City of Golden Community and Economic Development Department. Packard's Hill Scattered Intensive Survey, Denver, Colorado (2016-17). 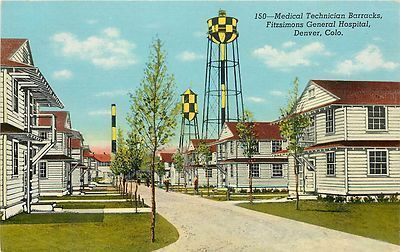 Historic Denver selected Front Range to conduct a survey and produce a Denver Landmark district application for a residential area in North Denver containing nearly two hundred properties. The earliest house in the area dates to 1886 and the area contains a variety of architectural styles, including Queen Anne, Classic Cottage, Foursquare, English-Norman Cottage, Bungalow, and Minimal Traditional. The project produced 173 Denver inventory sheets for each property in the survey area and 20 intensive Architectural Inventory (1403) forms, and a survey report. Front Range worked closely with a number neighborhood volunteers, who contributed to the project. A Denver Landmark district application was also produced. The project was funded by a State Historical Fund grant. Golden Intensive Survey (2017). 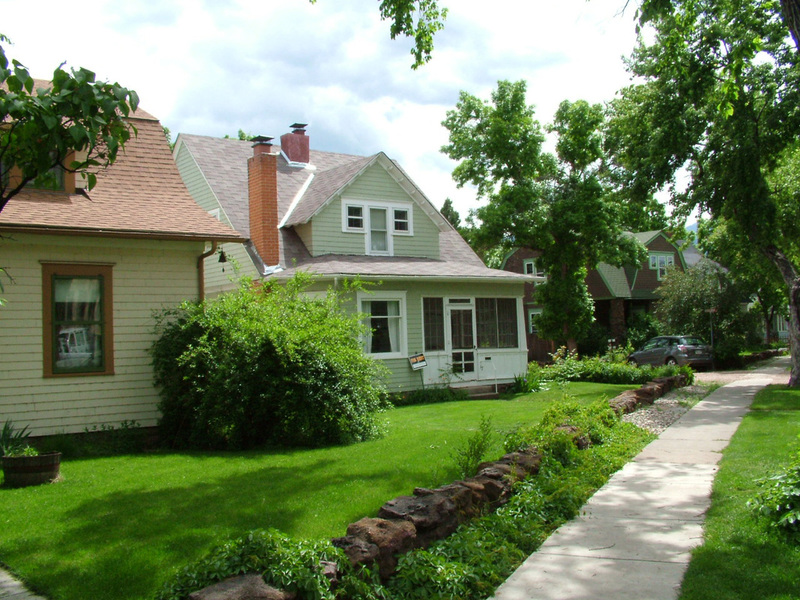 Front Range conducted a scattered intensive survey of ten historic buildings within the Twelfth Street Residential Historic District for the City of Golden. Listed in the National Register in 1983, the dwellings were last surveyed in 1992. The buildings reflected a variety of architectural styles and construction dates. Fairplay, Colorado, Intensive Survey (2017). Front Range undertook a scattered intensive historic buildings survey within the mountain town of Fairplay, Colorado, in Park County. 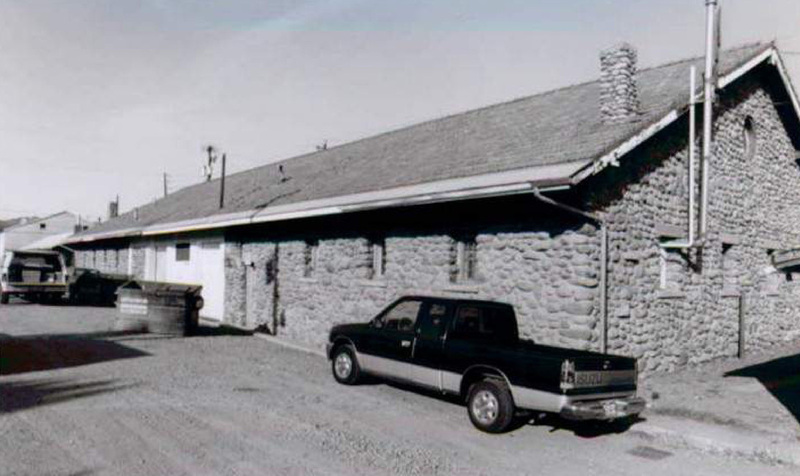 Sponsored by a Certified local Government grant to Park County, the scattered intensive historic buildings survey documented twenty-eight resources, including residences, commercial buildings, a motel, and two former service stations. U.S. 30 Corridor Intensive Survey, Sidney, Nebraska (2016-17). Front Range conducted an intensive survey of 147 resources along U.S. 30 (Illinois Street) within Sidney, Nebraska. 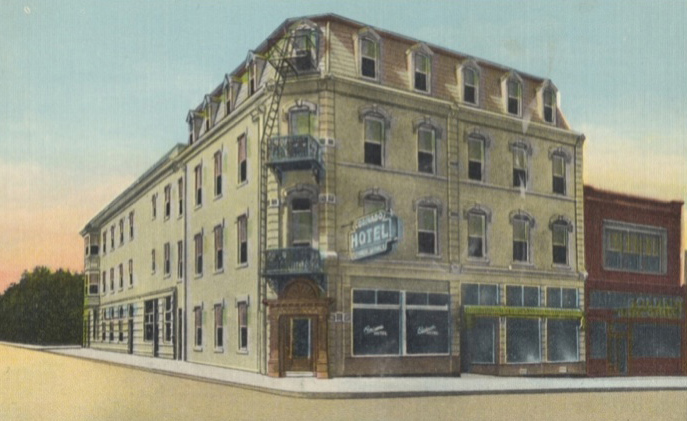 Many of the resources recorded were auto-related, including several mid-century motels. Some adjacent residential areas were also surveyed. 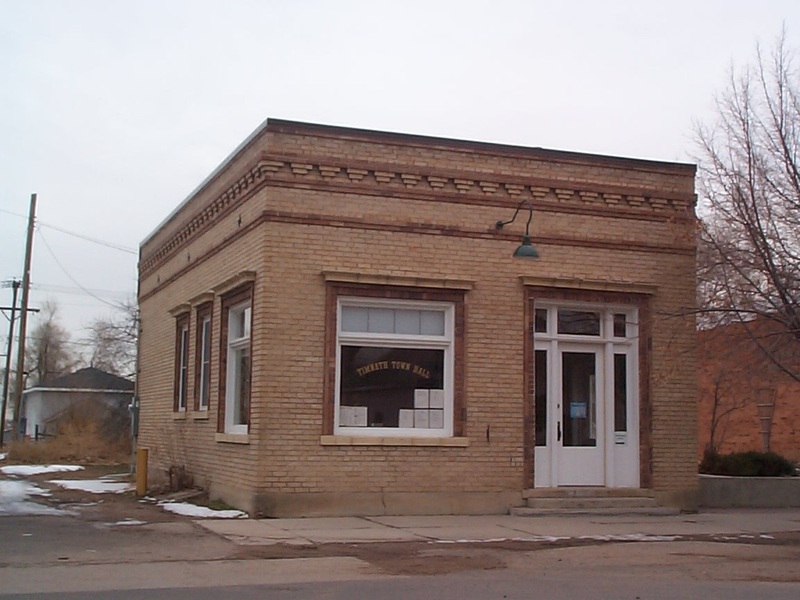 The City of Sidney funded the project with a Certified Local Government grant from the Nebraska State Historical Society. Sidney Intensive Survey of the Original Town Plat, Sidney, Nebraska (2015-16). The City of Sidney in the Nebraska Panhandle selected Front Range to conduct an intensive survey of the City's downtown area embracing 175 mostly commercial resources. The forms included multiple photographs, a sketch map generated from the project GIS, and a supplemental page including a history of each property, research sources, and a evaluation of local landmark eligibility. Front Range teamed with Dr. Mary Therese Anstey of History Matters LLC to undertake the survey. The project is funded by a Certified Local Government grant. Golden Reconnaissance Survey, Golden, Colorado (2013-14). Front Range conducted a reconnaissance survey of forty scattered historic buildings within Golden, Colorado, using the new History Colorado 1417 survey form. 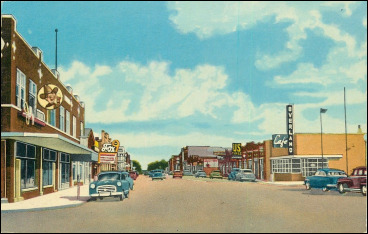 The resources included mostly commercial buildings, with a good number of post-World War II and Modern Movement styles represented. Staff used a Windows 8 tablet computer with stylus and MS Access software with pick fields to conduct field work. Funded by a Certified Local Government grant. Front Range completed 65 intensive level survey forms in Chaffee County, an area in the central Colorado mountains. Resources were recorded in Buena Vista, Garfield, Alpine, Maysville, Poncha Springs, and rural areas. The scattered, selective survey included 55 individual resources and 10 multi-building complexes and embraced such property types as ranches, guest or dude ranches, single dwellings, rural schools (such as the Mount Princeton or Maxwell Park School, at left), a fire station, and commercial buildings. The project was undertaken for the Greater Arkansas River Nature Association (GARNA) with funding from the Colorado State Historical Fund. Front Range completed an intensive level survey form for the former National Beet Harvester Company factory in Brighton, Colorado, in June 2012. The 1919 building housed a factory which produced implements used in cultivating and harvesting sugar beets. 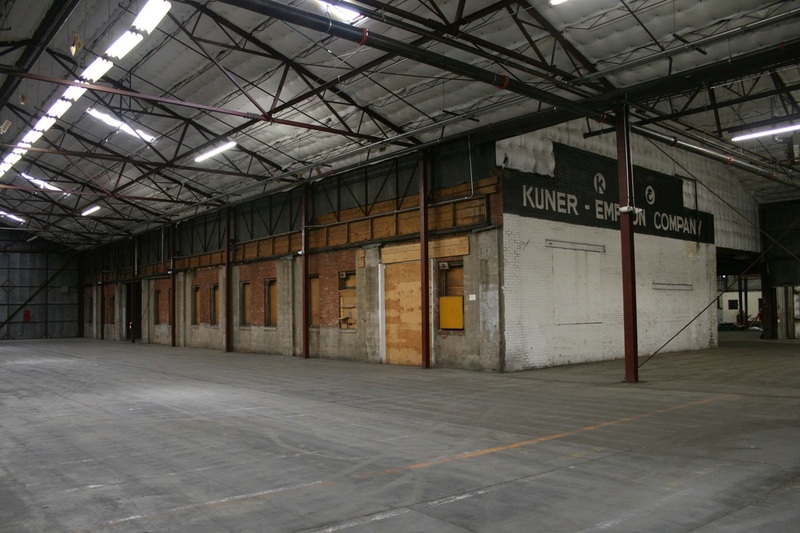 The Kuner-Empson Company acquired the building in 1936 and used it as a warehouse. A historic buildings survey of the Kountze Heights subdivision in the area southeast of West 32nd Avenue and Lowell Boulevard in North Denver. The project included a reconnaissance survey of 207 buildings and a selective intensive survey of 35 buildings. A potential Denver Landmark historic district was identified and a Denver Landmark historic district application prepared. Undertaken for Historic Denver, Inc., and the neighborhood. Funded by the State Historical Fund. 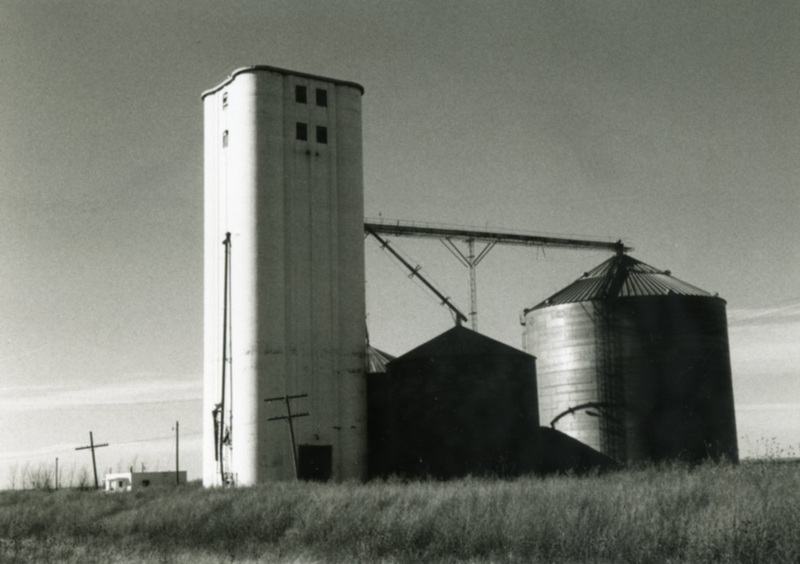 Front Range conducted an intensive survey of 23 buildings in the Weld County part of this former coal mining town. The former town hall, erected 1930-31, was one of the buildings included. The project was undertaken for the Town of Erie and funded by a State Historical Fund Grant. Front Range conducted a reconnaissance survey of over 400 properties in these small towns along the former Missouri Pacific Railroad for the Kiowa County Historic Preservation Commission. We also completed a selective intensive survey of 50 resources, including the first and only Lustron house documented in Colorado. A State Historical Fund grant provided funding for the project. Front Range joined with RMC Consultants to conduct a historic resources survey of selected properties in the Utah portion of Dinosaur National Monument. While most of the resources were associated with the early ranching history of the area, the more than 500'-long stone-lined drainage channel at left was built by the Works Projects Administration in 1939-40. 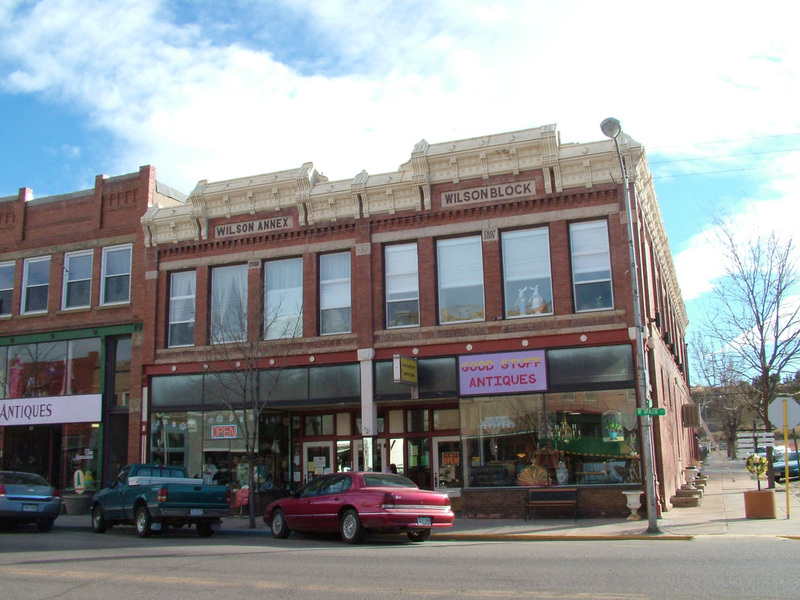 Sixty-three buildings in Downtown Florence in Fremont County were intensively surveyed by Front Range. The survey area was assessed as comprising a potential National Register historic district. Florence was one of the inaugural projects of the Small Town Survey Initiative. Undertaken for the University of Colorado Denver with funding from the State Historical Fund. Genoa, Colorado, Historic Buildings Survey (2008) Forty buildings in the eastern plains town of Genoa in Lincoln County were intensively surveyed by Front Range. 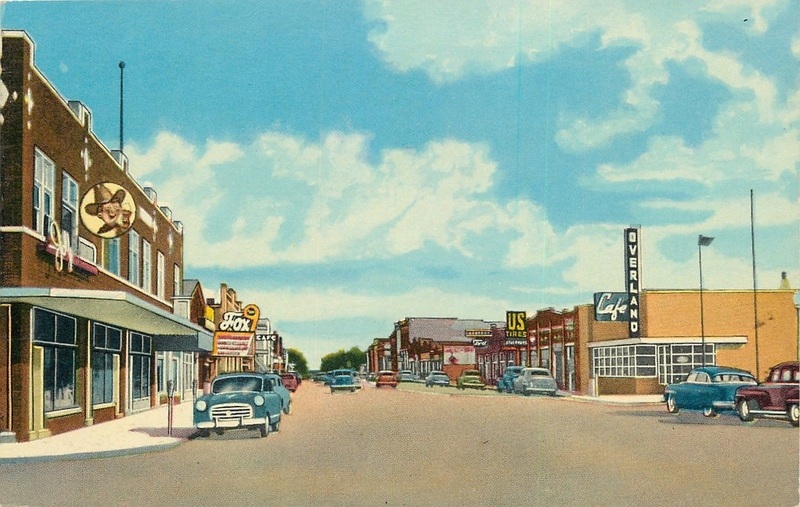 Genoa was one of the inaugural projects of the Small Town Survey Initiative. Undertaken for the University of Colorado Denver with funding from the State Historical Fund. A re-evaluation survey to determine local and National Register district potential was conducted for 20 properties on "the Hill," west of the University of Colorado campus. The study was undertaken for the Boulder Planning and Development Department. An intensive level survey of 10 schools in Denver. The schools were built during the expansion of the school district after World War II in 1958-68 and were designed in the International style. Several of the schools were associated with busing and the civil rights movement. Schools were evaluated for local landmark and National Register designation. The company performed an intensive survey of the former Gates Rubber Company plant at South Broadway and West Mississippi Avenue in Denver for Cherokee Denver, LLC. Gates was the nation's fourth largest rubber company and a major Denver employer. The project included preparation of survey forms for individual buildings, the site as a whole, and a survey report. 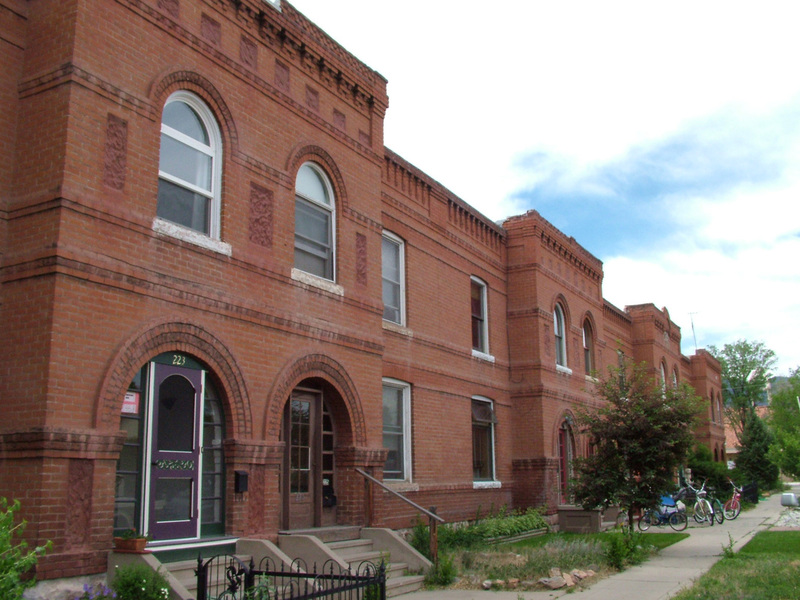 Front Range was a subconsultant to the Neighborhood Resource Center of Colorado. Boulder Crescent Place Intensive Survey (2006-07) Intensive survey forms were completed for 14 properties in this historic residential area west of downtown Colorado Springs. Part of the neighborhood was listed in the National Register in 1987. The current survey identified a potential expanded historic district. An intensive level survey of 100 primarily residential resources between the Downtown Salida Historic District and the Heart of the Rockies Regional Medical Center. Undertaken for the City of Salida. A reconnaissance of the East Colfax Avenue corridor between Grant Street and Colorado Boulevard. Intensive survey of twelve resources identified as having National Register Potential. Undertaken for the Colfax Business Improvement District. Doughty Ranch/Allison Ranch/Foothill Farms, Colorado Springs, Colorado vicinity (2006) Documentation of a multi-building historic farm complex north of Colorado Springs near the former community of Husted. A reconnaissance survey of approximately 200 buildings and an intensive level survey of 30 resources in the Wolff Place and Carter’s Addition area of North Denver, in the area lying southwest of West 32nd Avenue and Lowell Boulevard. 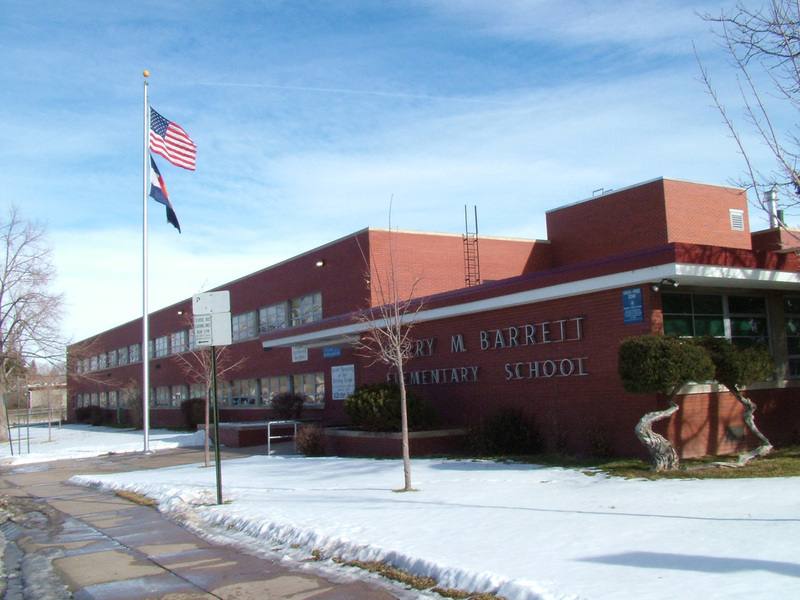 An intensive level survey of 12 schools in Denver. Most of the schools were built during the expansion of the school district after World War II and designed in the International style. 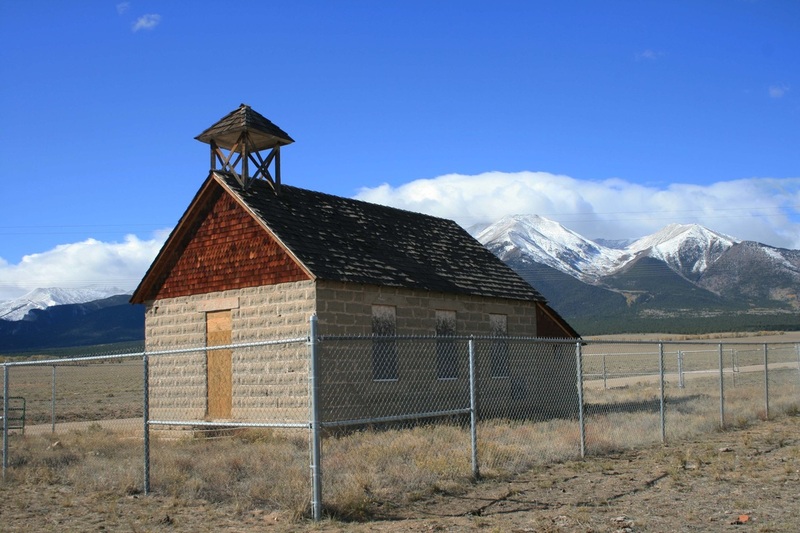 Schools were evaluated for local landmark and National Register designation. Golden, Colorado, Survey of Block 66, South Golden (2005). An intensive survey of eight resources on a city block to be redeveloped by the Colorado School of Mines. Undertaken for the City of Golden Planning and Community development Department. A survey of historic resources in an area impacted by a major roadway redesign. The project included completion of survey forms, a final survey report, public meetings to explain the results of the project, and an analysis of the impact of the project on historic resources. A reconnaissance survey of historic neighborhoods of Cañon City to prioritize areas for future survey. 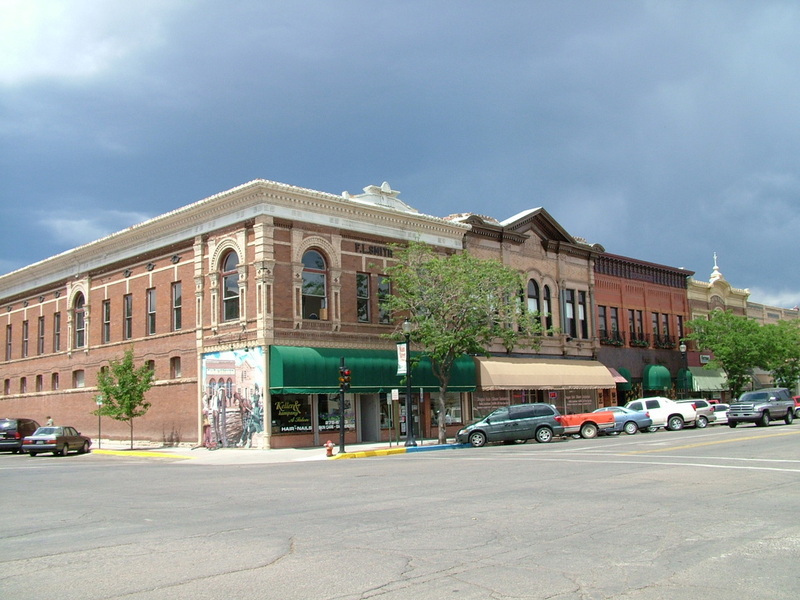 An intensive survey of 80 buildings in and near the Cañon City Downtown Historic District was also completed, and existing boundaries of the district were evaluated. An intensive survey of 79 historic resources located throughout the city previously identified as having a high priority for survey. The project included completion of survey forms, mapping, photography, and a final survey report. An intensive level survey of 165 buildings in historic areas of Colorado Springs and documentation with architectural descriptions, photographs (conventional and digital), maps, and historical research. A historic context for architectural development of the city during the period 1935-1964 was also produced. 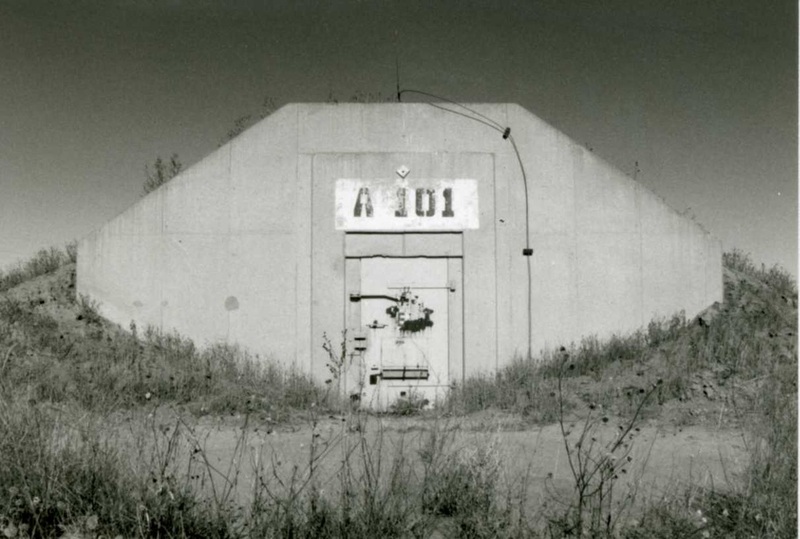 An evaluation of previous documentation of historic resources at the chemical weapons facility and an intensive level survey of two resources: a railroad generator car and a chemical weapons demilitarization plant. Front Range also completed a plan for future survey needs at the depot. A reconnaissance survey of Timnath, an agricultural community in Northern Colorado, and completion of an intensive survey of 19 properties, including the town hall. The project identified individually significant buildings and a historic district. An intensive level survey of historic ranch sites on land owned by The Nature Conservancy in the San Luis Valley. The project included historical research, oral history interviews, photography, mapping, architectural descriptions, and significance evaluations. Reconnaissance surveys of the northeast, southeast, and southwest quadrants of Park County, Colorado. We determined which resources in the quadrants had previously been surveyed and which areas held the most promise for finding unsurveyed properties. Sites scattered throughout the quadrants were documented on reconnaissance survey forms, which included photographs, brief architectural descriptions, and prioritization for future intensive survey. 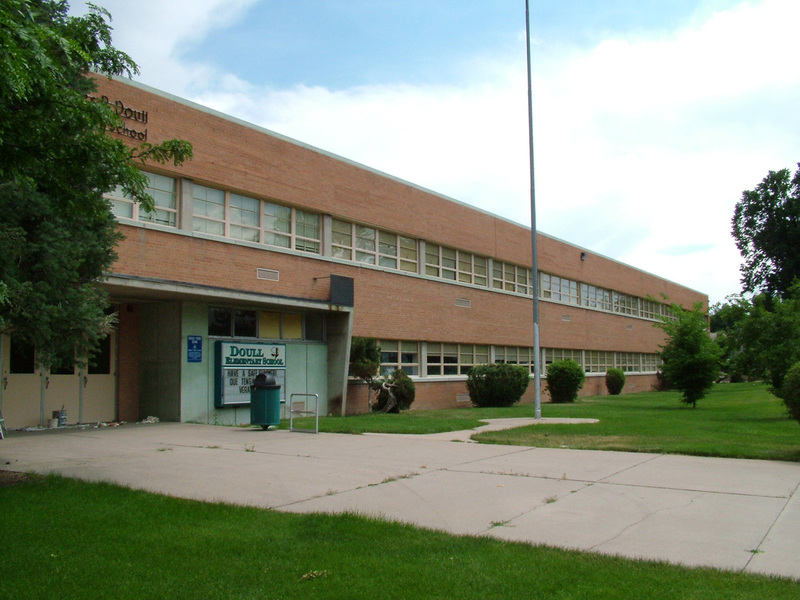 Two surveys encompassing 42 public school buildings in Denver, including historical research, architectural descriptions, historic overviews, digital and conventional photography, mapping, and report preparation. We created prioritized rankings of the schools in terms of eligibility for designation and identification of character-defining characteristics. A reconnaissance survey of historic properties within the city limits of Golden through the use of geographic information system analysis, historical research, and fieldwork. We produced one-page reconnaissance survey forms for 300 resources, as well as digital photographs of resources and a survey report. A survey of 290 buildings within the existing National Register district centered around the historic commercial, residential, and civic resources of Trinidad. The project provided expanded historical information, updated architectural descriptions, black and white photography, and mapping of resources. Front Range analyzed the appropriateness of district boundaries and the contributing and noncontributing status of buildings. 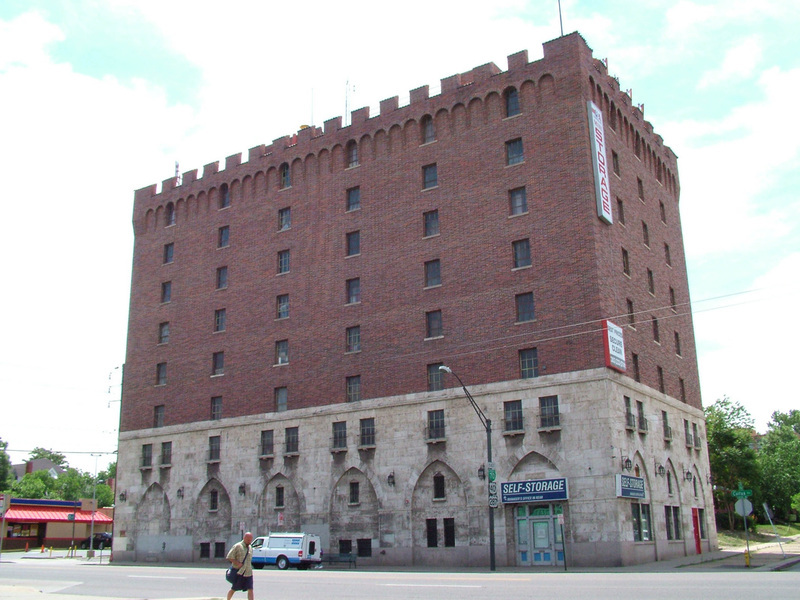 A survey of 135 buildings within and adjacent to the existing downtown National Register district, including expanded historical information for buildings, updated architectural descriptions, and analysis of components of the district and its boundary. A reconnaissance survey of the remainder of city to prioritize future survey results was also completed. A reconnaissance of the entire city outside of the established historic districts and consultation with a committee of local citizens to create a prioritized list of historic resources for survey. Seventy-one properties were intensively surveyed. An intensive survey to record and evaluate historic properties within and adjacent to Greeley’s historic downtown. The project documented 66 properties and analyzed the area’s district potential. A context for development in Downtown Greeley was prepared. An intensive survey of a variety of resources throughout one of Colorado’s largest counties, including agricultural, water storage, industrial, commercial, educational, religious, and residential buildings. The project included preparation of a historical overview, forms, maps, photographs, and a survey report. A survey of buildings in Downtown Gunnison to identify individually significant resources and historic districts. Seventy-five buildings were documented with survey forms, photographs, and maps. A reconnaissance survey to identify areas with potential historic districts and individually significant resources, as well as prepare a historic context for a historic Denver neighborhood. An intensive level survey of 275 properties in the North Durango neighborhood, including historical research, architectural descriptions, evaluations of significance, photography, and mapping. 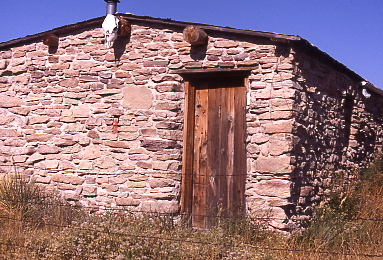 A historic context on the development of North Durango was prepared. 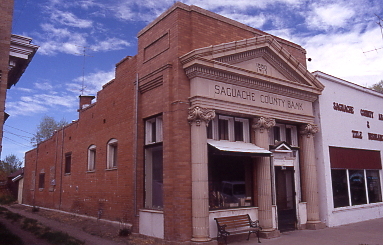 A project to prepare a historic preservation plan and conduct a survey of selected historic resources for the County of Saguache, Colorado. The firm surveyed resources in the Town of Saguache and along the Cochetopa corridor to the west along Colorado 114. Front Range team members worked with community representatives to identify significant historic resources and complete a preservation plan. Jackie Powell, Central Colorado Preservation Partners, provided planning services. A reconnaissance of historic properties scattered throughout the city and prioritization of areas for intensive survey, followed by an intensive level buildings survey of 604 resources, including historical research, architectural descriptions, photography, mapping, and evaluations of significance. 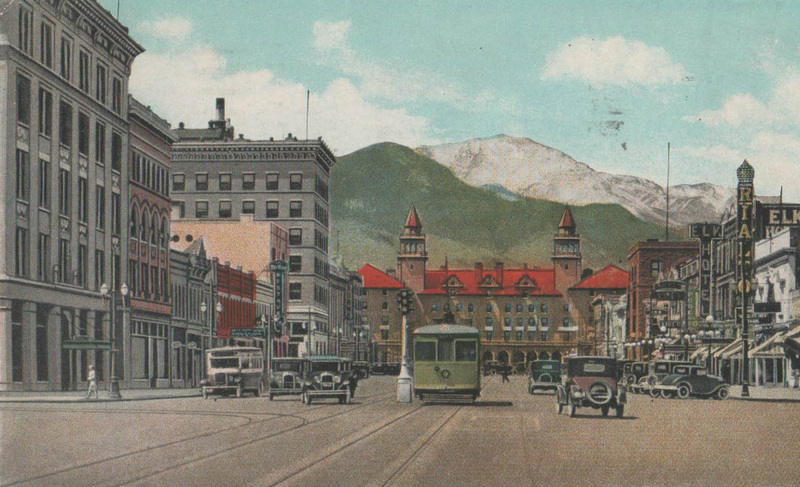 Front Range also produced a historic context for the physical development of the city. 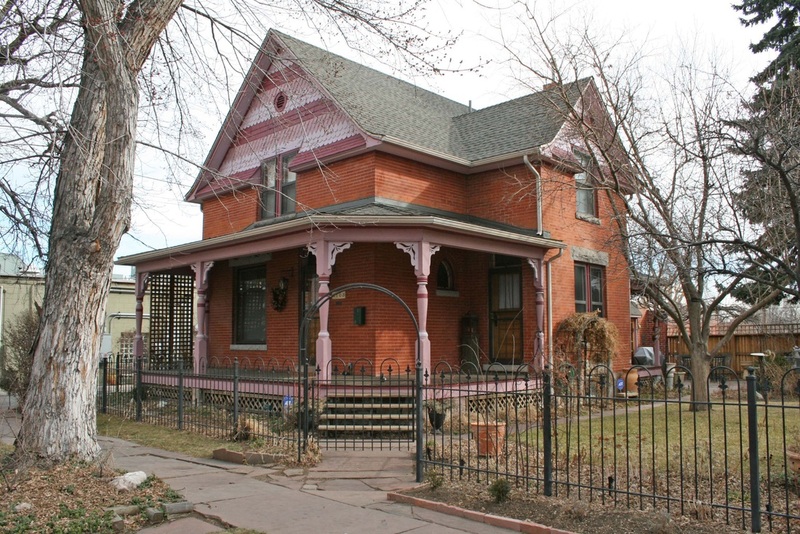 A survey of historic properties in a small community north of Denver. Tasks included photography, architectural analysis, historical research, and evaluations of significance. We mapped buildings using a geographic information system linked to a citywide database. Salt Lake City, Utah Ordnance Depot (2000) Photographs, architectural descriptions, and a historical background for a former World War II ordnance depot in Salt Lake City for the U.S. General Services Administration. 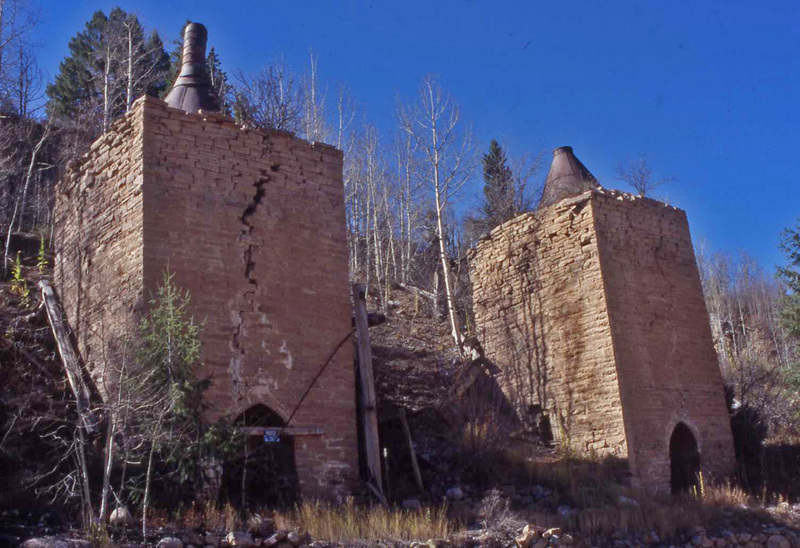 A historic overview of Pitkin County history and documentation of more than 160 historic resources scattered throughout the county, including ranches, lime kilns, commercial structures, vacation homes, residences, and a monastery. The fifth project completed in a multi-year historic buildings survey of the Original Townsite undertaken by Front Range for the City of Durango, which also included a re-evaluation of the Boulevard/ East Third Avenue Historic District. 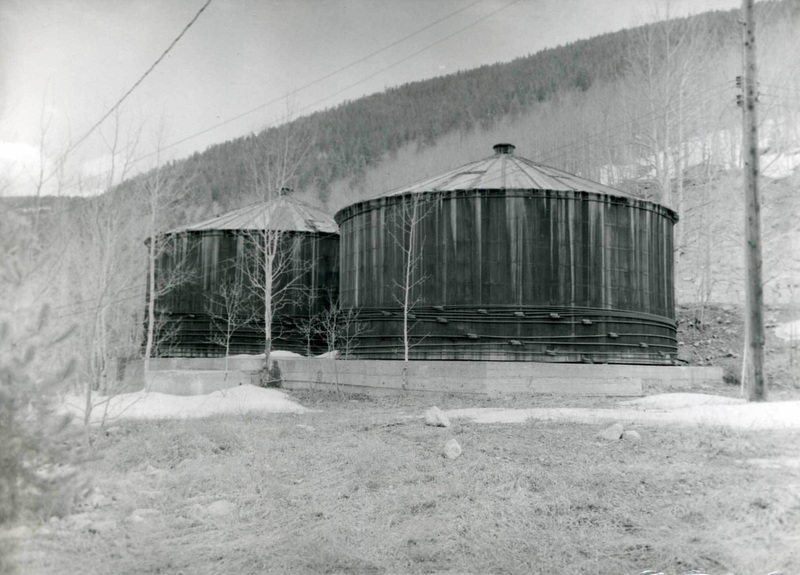 Assisted Tate Enterprises Unlimited in the documentation of the history and design of a group of wood water towers serving the former company town of Gilman in Eagle County. A survey of 74 historic resources in Downtown Montrose. 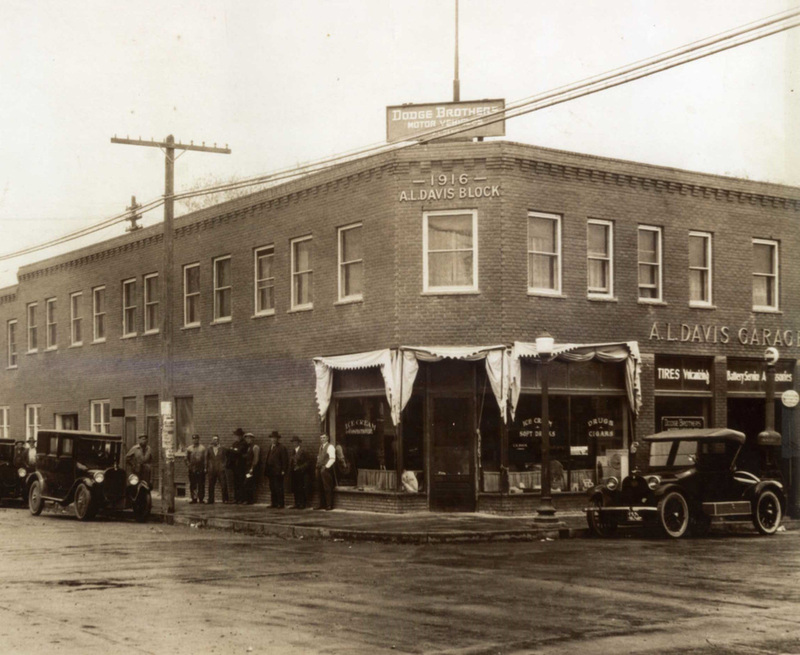 The project updated an earlier survey of buildings in the city’s commercial district, providing new architectural descriptions, photographs, historical research, and mapping. The comprehensive historic buildings survey of the original townsite of Durango continued in the fourth project undertaken for the City of Durango. 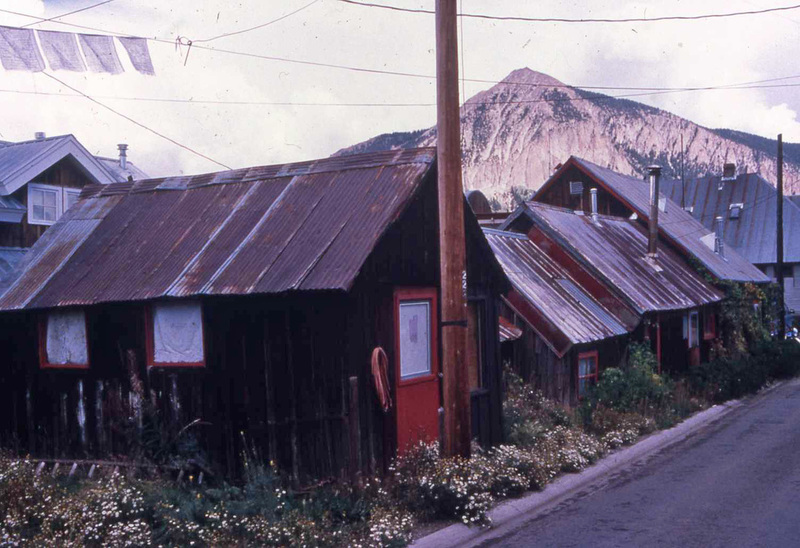 A survey of more than 300 primary and secondary buildings (such as smokehouses, privies, sheds, barns, stables, and garages) for the Town of Crested Butte, principally within the boundaries of its National Register district. Front Range prepared of survey forms, photographs, maps, and a survey report that featured a historic context and an evaluation of the district boundaries. The survey of a 121.9-mile segment of the Missouri Pacific Railroad (the Towner Railroad) through Kiowa, Crowley, and Pueblo counties in southeastern Colorado for the Colorado Department of Transportation. 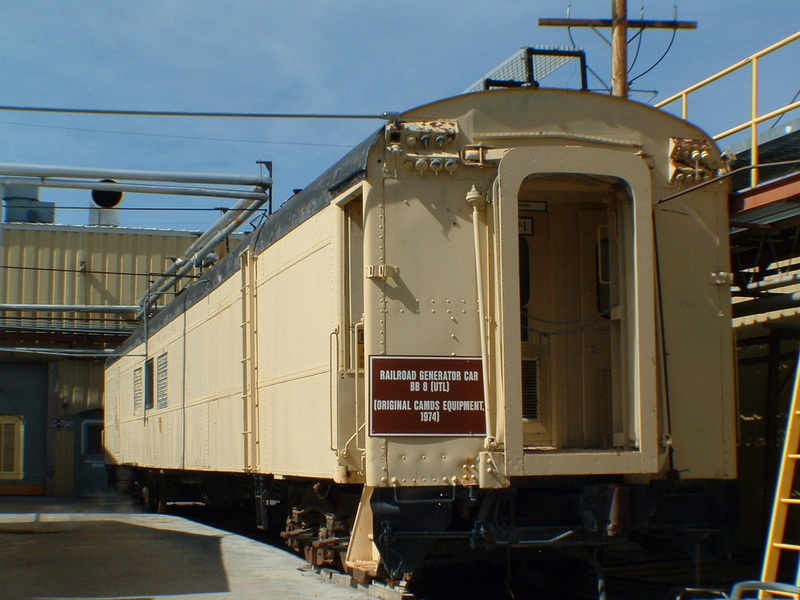 Documented resources included grain elevators, railroad and highway crossing signals, culverts, and sections of track. 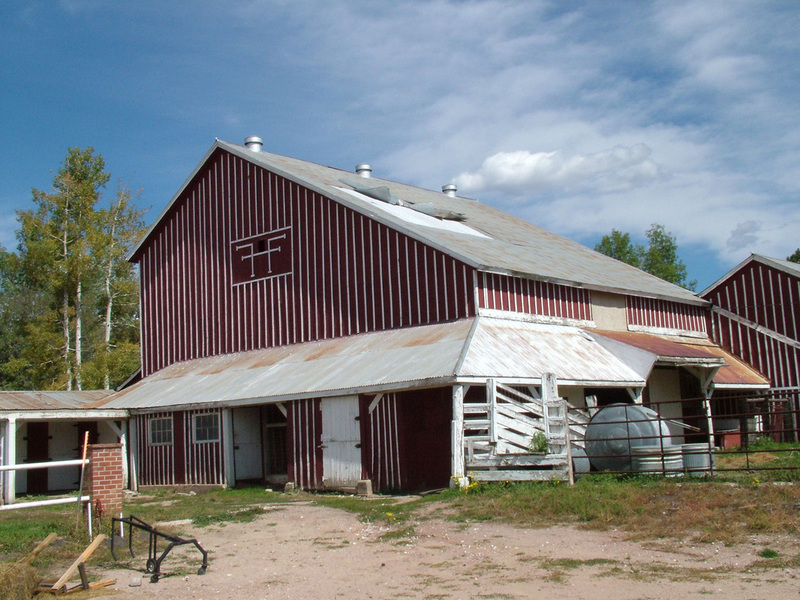 Cultural resource survey of historic resources along various roadways at a number of locations, including: U.S. 34 in Weld County, U.S. 36 in Boulder County, and U.S. 160 in La Plata County. 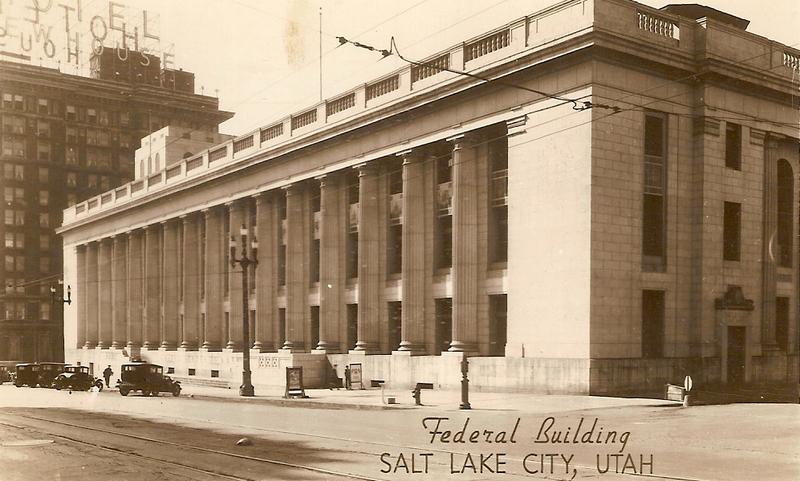 A cultural resource survey of a city block containing the historic Frank E. Moss Courthouse (1905, 1912, 1932) in order to assess the National Register eligibility of buildings that might be affected by the expansion of the courthouse. The project also included assisting the U.S. General Services Administration with the Section 106 process. A reconnaissance survey of the entire La Alma Neighborhood of Denver and an intensive level survey of 100 resources for NEWSED, a nonprofit neighborhood redevelopment group. 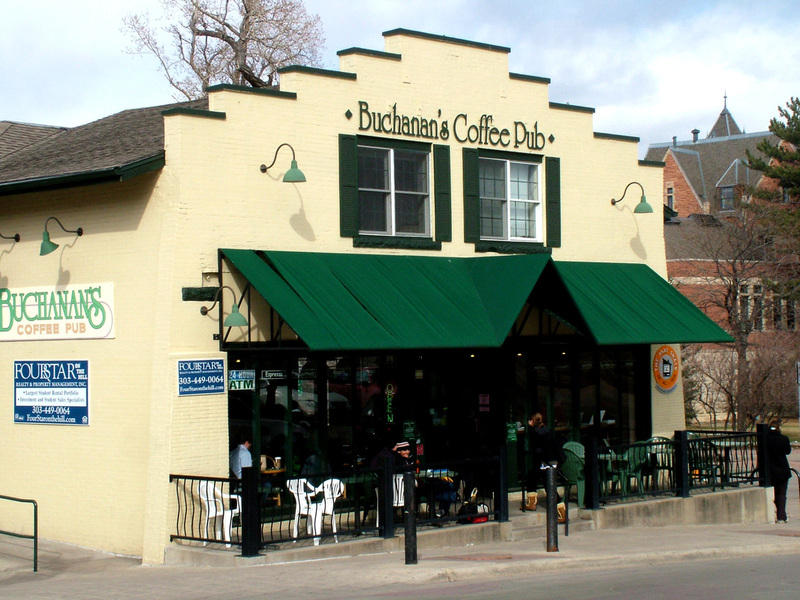 An assessment of local historic district potential in two areas of the City of Boulder. The project included delineating district boundaries and identifying contributing/noncontributing resources. An intensive level survey of about 300 historic resources in the original townsite of Littleton, Colorado. The project included completion of survey forms, photographs, maps, and a survey report, including preparation of an historic context for the surveyed area. An intensive level survey of approximately 310 historic resources in the vicinity of Olde Town, Arvada, Colorado. Front Range prepared survey forms, photographs, maps, and a survey report, including a historic context for the surveyed area. We held public meetings to explain the methodology and results, as well as to discuss the design guidelines prepared by subcontractor Allyn Feinberg Planning and Design. A survey of approximately 190 historic resources in the original townsite of Durango, Colorado. We prepared computerized survey forms, photographs, maps, and a survey report including a historic context for the neighborhood. We worked with volunteers and participated in public meetings. 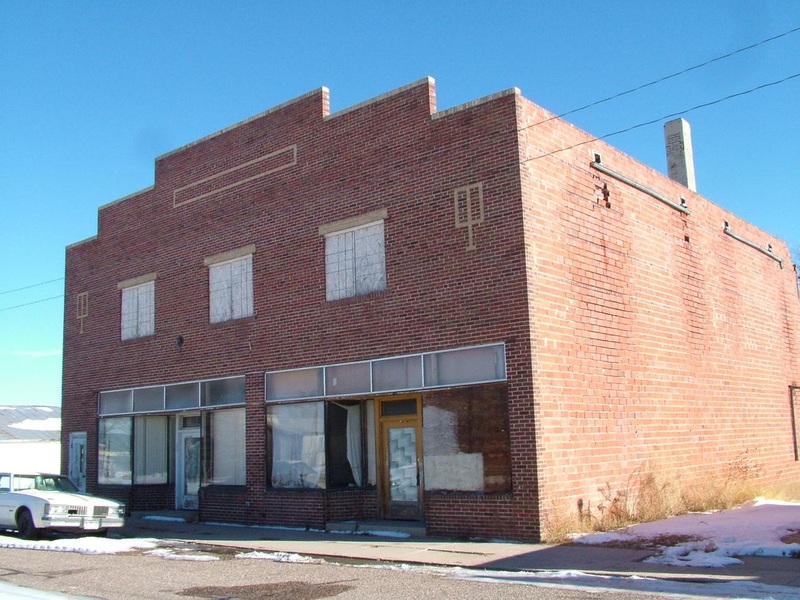 An intensive survey of 17 historic buildings in the commercial area of New Castle in Garfield County, Colorado. A study of a nineteenth century ranch and stage stop. The project included photography, a site map, architectural descriptions, evaluations of significance, and a narrative report. 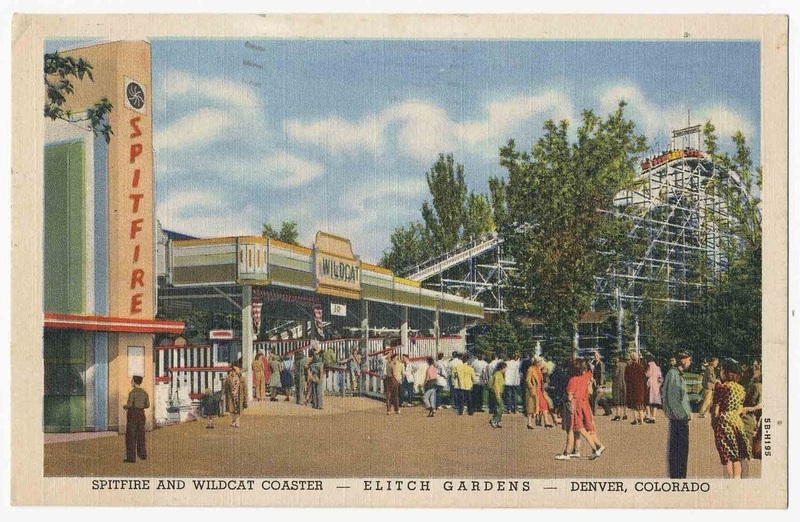 Documentation of historic resources at the site of Elitch's Amusement Park in northwest Denver as a part of the site’s reuse. Resources included roller coasters, a theater, a carousel, greenhouses, and support buildings. We also prepared archival photography and intensive historical research as impact mitigation for eligible resources. A historic resources survey and historic context report for a World War II era Army ordnance depot east of Pueblo, Colorado (formerly known as Pueblo Ordnance Depot). Tasks included photography, preparation of architectural descriptions, mapping, and historical research. A survey of more than 100 resources in the vicinity of Mercy Hospital in northern Durango. 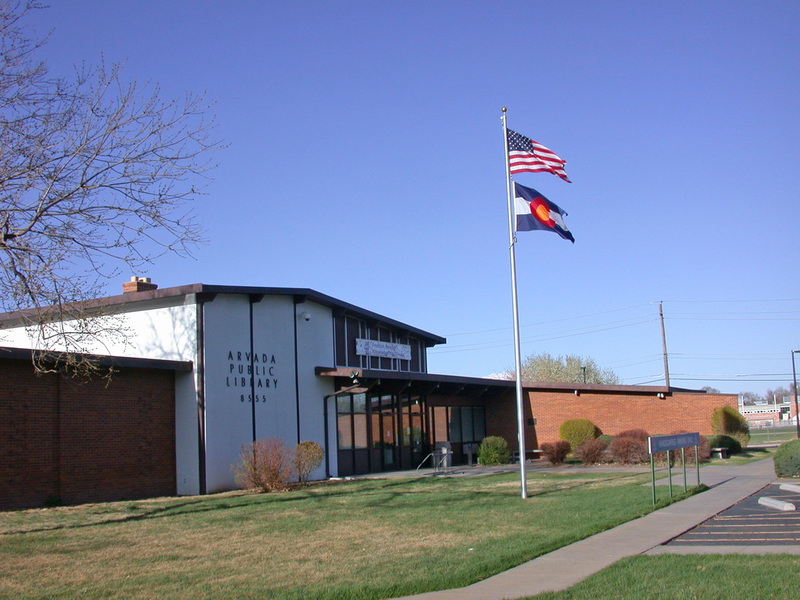 The project included preparation of computerized Colorado Historical Society Building Inventory forms, photographs, maps, and survey reports, including preparation of a historic context for the neighborhood. Highlands Neighborhood, City and County of Denver, Neighborhood History Project (1994) A reconnaissance survey of the Highlands Neighborhood of northwest Denver for the Landmark Preservation Commission and the Office of Planning and Community Development. We prepared Individual Denver Landmark applications, as well as a history of the neighborhood, photography, mapping, and a report. 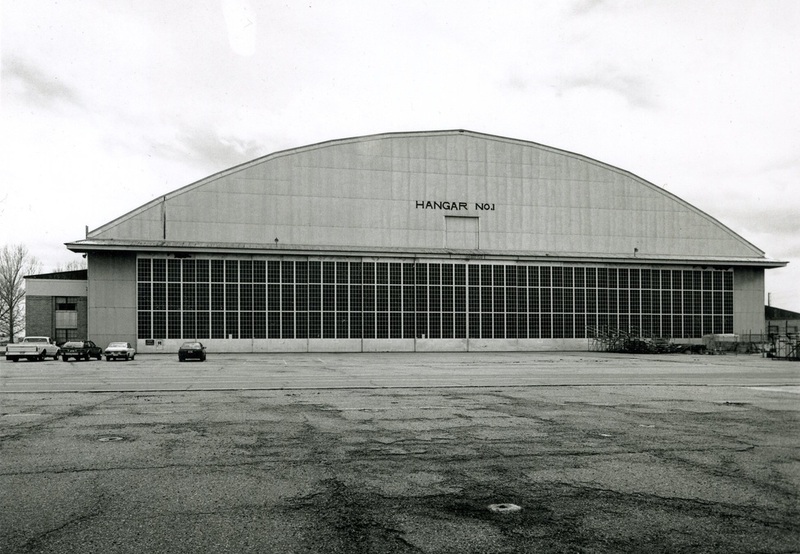 A survey of selected historic resources for this major Air Force installation scheduled for closure in 1994. 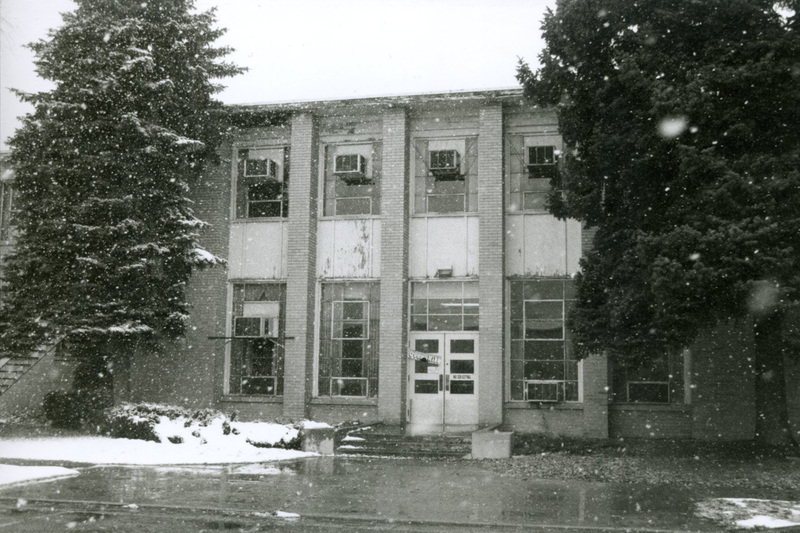 Specific buildings were examined in the field and a consolidated list of all structures on base was developed, showing National Register eligibility status and contributing/ noncontributing status. A brief historic context for the base was also prepared. 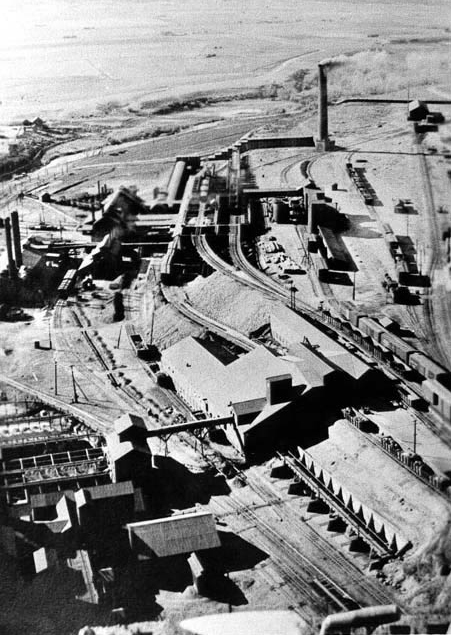 Site-specific research and fieldwork regarding existing historic resources at the Ohio and Colorado Smelter site northwest of Salida, Colorado, undertaken as part of a larger project undertaken for the U.S. Environmental Protection Agency. A reconnaissance survey of Denver's Capitol Hill neighborhood for the Landmark Preservation Commission and the Community Planning and Development Office. The firm completed a history of the neighborhood, as well as photography, mapping, and public meetings. A reconnaissance survey of Denver's North Capitol Hill neighborhood for the Landmark Preservation Commission and the Community Planning and Development Office. The firm completed a history of the neighborhood, as well as photography, mapping, and public meetings. A reconnaissance survey of Denver's Baker neighborhood for the Landmark Preservation Commission and the Community Planning and Development Office. The firm completed a history of the neighborhood, as well as photography, mapping, and public meetings. A reconnaissance survey of Denver's Whittier neighborhood for the Landmark Preservation Commission and the Community Planning and Development Office. The firm completed a history of the neighborhood, as well as photography, mapping, and public meetings. A reconnaissance survey of Denver's Five Points neighborhood for the Landmark Preservation Commission and the Community Planning and Development Office. The firm completed a history of the neighborhood, as well as photography, mapping, and public meetings. A survey of 129 historic resources along 13 blocks of 4th Avenue in Durango, Colorado. The project included preparation of survey forms, photographs, maps, and survey reports, including preparation of a historic context for the neighborhood. An intensive level survey of buildings in the B-5 Zone District of the Denver Central Business District for the Landmark Preservation Commission and the Office of Planning and Community Development. All resources (more than 200 historic and modern) were ranked into tiers using criteria of historic, architectural, and geographic importance. The project included photography, mapping, report preparation, public meetings, and development of a historic context for the area. A survey of 125 historic resources within the Fort Collins Urban Growth Area. This survey included preparation of survey forms, photographs, maps, and survey reports. Historic contexts were also prepared. 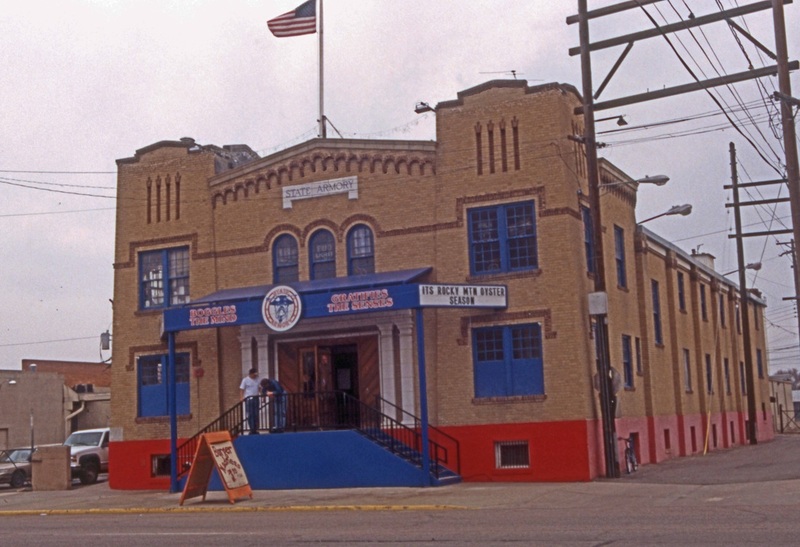 A survey of historic resources (primarily buildings) within the current and historic boundaries of Camp George West, a Colorado Army National Guard facility, as a demonstration project funded by the Department of Defense Legacy Project. The task involved recordation of resources on Colorado Historical Society Building Inventory forms, photography, mapping, and preparation of a survey report with historic context relating to the post. A Multiple Property Documentation Form was prepared, as well as a National Register nomination for a district. A historic context and site-specific research for historic resources for a project area in northern Jefferson County, Colorado. 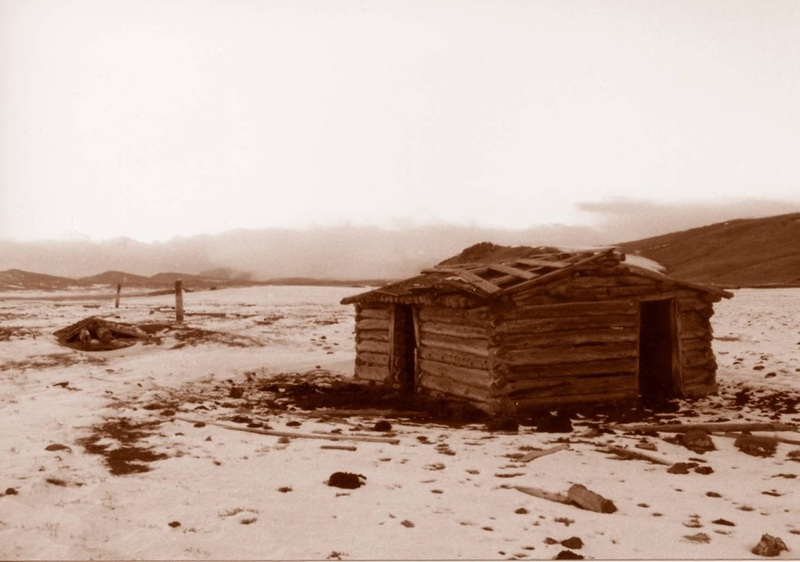 Site-specific historic research on the Hoodoo Ranch, the Wiley Canal, and an unnamed road located in Park County, Wyoming, south of Cody. The historical component of a cultural resources survey of a 212-mile gas pipeline corridor in southern Idaho. Research and evaluation of historic resources found during the field survey were completed (including road segments, a stone homestead, and a large canal) and a historic context for the project area was prepared. 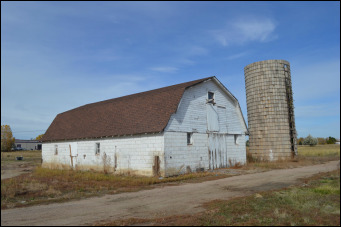 A project for the Colorado Historical Society to develop a predictive model and survey farms and ranches in the non-irrigated sections of Weld County, Colorado. 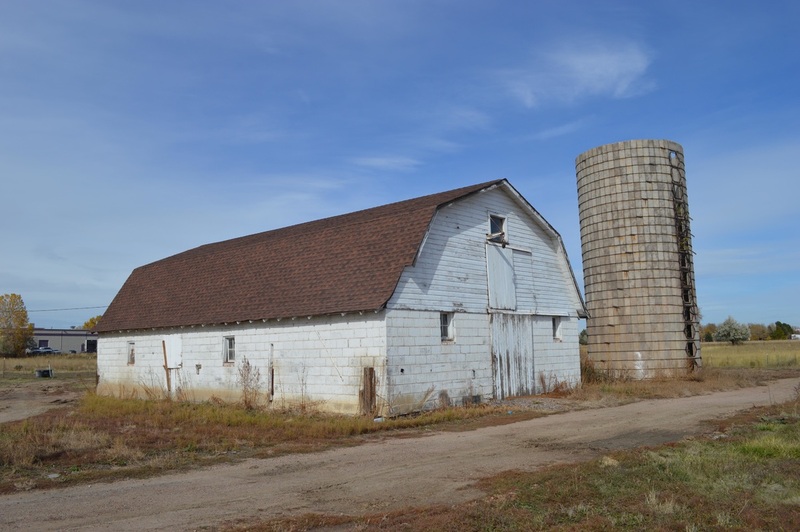 The project involved developing a historic context, performing a survey covering a large rural territory, completing survey forms, and preparing National Register of Historic Places nominations. A survey of historic resources (primarily buildings) within Fitzsimons Army Medical Center. The project involved documentation of resources on survey forms, photography, mapping, and preparation of a survey report with a historic context relating to the post. As part of the project, the potential National Register district boundaries of the post were evaluated. Historic context and specific research for historic resources were completed as part of a cultural resources survey of the Georgetown Hydroelectric Project. The work was undertaken as part of a Federal Energy Regulatory Commission relicensing application of the project for Public Service Company of Colorado. 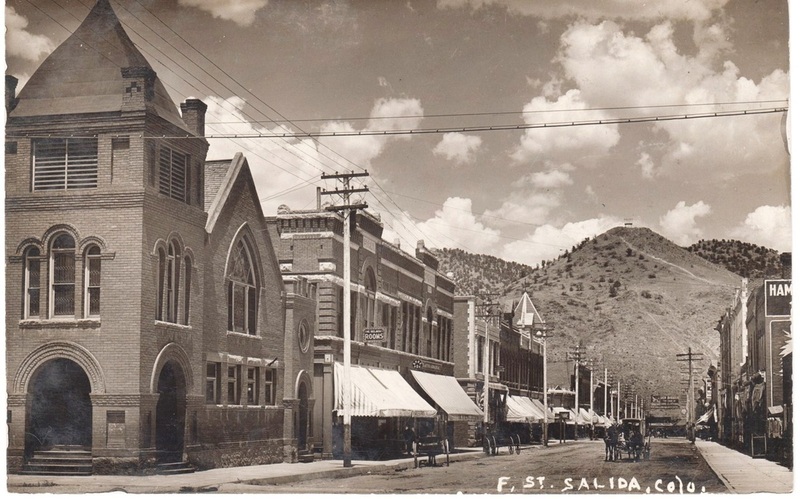 Historic context and site-specific research on historic resources completed as part of a cultural resources survey of the Salida Hydroelectric Project. The work was undertaken as part of a Federal Energy Regulatory Commission relicensing application of the project for Public Service Company of Colorado. Historic context and evaluation of historic resources identified during a survey of World War II-era buildings on the military base. 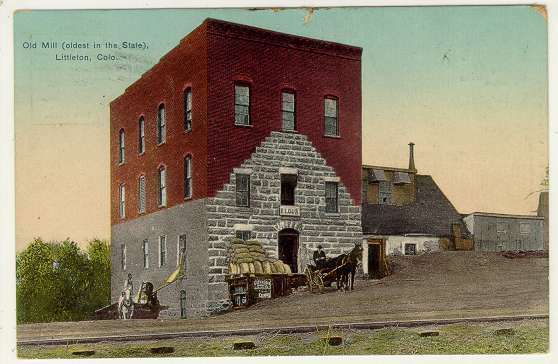 Three separate projects documented historic buildings in Golden, including the central business district. These surveys included the preparation of survey forms, photographs, maps, and survey reports. The survey reports, together with the survey forms, were published and distributed by the City of Golden. Research and evaluation of historic resources found by another firm during surveys of a reservoir west of Fort Collins as part of larger project to document cultural resources. Front Range work included preparation of a historic context, which examined the history of the Fort Collins area. Historic resources survey for a proposed beltway along the western edge of the Denver, Colorado metropolitan area. The firm completed fieldwork, identified and photographed historic sites, conducted interviews, and undertook historical research into specific sites. Historic resource survey to identify and record properties to be affected by a 50 mile roadway around the eastern edge of the Denver metropolitan area. The firm produced architectural and historical component forms, site plans, and photographs. Necessary reports and correspondence for survey project were completed, including HABS/HAER reports, maps, and photographs. An examination of all buildings within the Telluride National Historic Landmark District and completion of survey forms, photographs, maps, and a survey report. The boundaries of the district were also evaluated, as well as contributing/ noncontributing status of each building surveyed. A series of projects over a multi-year timeframe which resulted in a comprehensive intensive level historic buildings survey of more than 2,000 resources and examination of potential National Register districts in Boulder's Downtown, Newland, Goss-Grove, Highland Lawn, West Boulder, Geneva Park, University Hill, and northern Mapleton Hill neighborhoods. These surveys resulted in preparation of survey forms, photographs, maps, and survey reports, including neighborhood historic contexts. Survey reports were published by the City of Boulder for distribution to neighborhood groups.